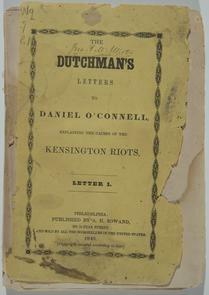 "Address of the Catholic lay citizens of the city and county of Philadelphia"
"Six Months Ago, or, the eventful Friday, and its consequences"
First page of "The Bible in Public Schools"
Title page from "Causes of the Kensington Riots explained"
Title page from "The Dutchman's Letters to Daniel O'Connell"
The Irish were one of the largest immigrant groups to settle in 19th-century North Philadelphia, and their numbers increased after Ireland’s famine exodus of the late 1840s. 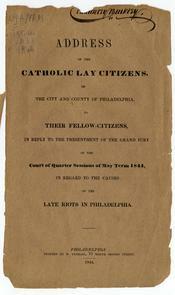 The mass influx of Irish Catholics into Pennsylvania coincided with a growing anti-immigrant sentiment that was fueled in part by the devastating economic depression of the late 1830s and early1840s. Economic insecurity, coupled with rapid mechanization of many crafts and trades, created uneasiness and resentment on the part of the native-born population. 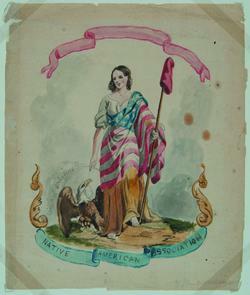 Anti-immigrant American-born Protestant Anglos portrayed themselves as “native” Americans in contrast to the “invading” Irish foreigners. 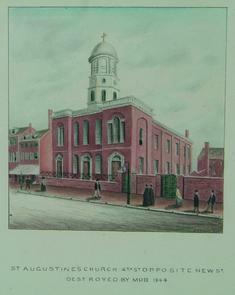 Kensington’s Irish immigrants formed their own community and social networks centered on the church, the tavern, and the volunteer firehouse. The “nativists” accused the Irish of isolating themselves from the larger society and being unwilling to assimilate. The nativists were especially agitated by the perceived role of the Catholic Church in the lives and politics of the Irish, convinced that Irish Catholics followed the directives of the pope in Rome. 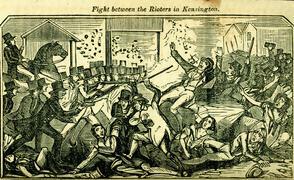 In May 1844, the tensions came to a head in Kensington’s Nanny Goat Market with a violent nativist–Irish clash that lasted for three days. 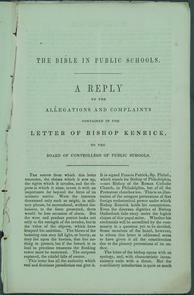 The immediate cause of the riots of 1844 stemmed from Catholic opposition to the exclusive use of the Protestant Bible in the public schools. The bible controversy galvanized the nativists’ political arm, the American Republican Party, and on May 6, 1844, they deliberately staged a political rally directly across from the Nanny Goat Market. 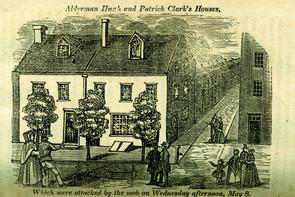 Along with St. Michael’s, the Market was an essential hub of Irish community life. An open shed for local food merchants, it served as a social gathering place for shopping and exchanging information. 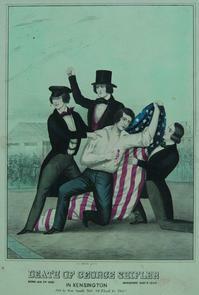 The nativists knew that the Irish would regard the rally as an invasion of their turf. As tensions rose, a rainstorm dispersed the crowd and violence erupted amid the chaos in the market as people fled for cover. In the ensuing rain-soaked melee in the market, shots were fired, probably from both sides. 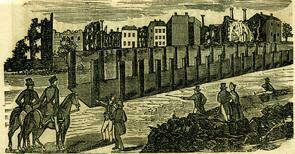 Most Irish residents, outnumbered by the nativists, protected themselves with fists and bricks. 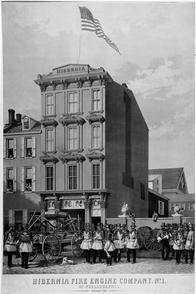 But it was rumored that some Irish armed themselves in advance of the planned rally and had stored their guns in the Hibernia Hose building, the local Irish American volunteer firehouse next to the market. 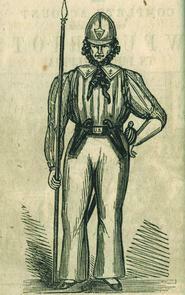 Nineteenth-century fire brigades were volunteer and organized along ethnic and religious lines; the industrial districts of South and North Philadelphia, outside the jurisdiction of the city of Philadelphia proper, hosted many notorious fire company clashes. Volunteer brigades often behaved more like gangs than firefighters and were readily mobilized for interethnic turf battles. 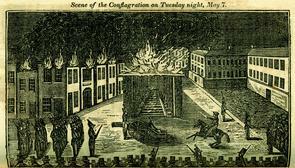 With residents and, possibly, guns holed up in the Hibernia Hose house, nativists attacked the firehouse, attempted to commandeer a hose carriage, and eventually burnt the structure down. The fighting spilled over into the adjacent market once again. 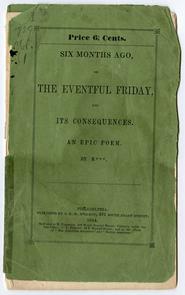 For three days nativists looted and destroyed Irish homes. 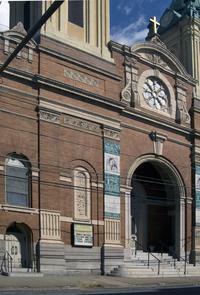 Since city authorities technically did not have jurisdiction over the district of Kensington, and were loath to protect the Irish in any case, the Catholic churches were easy targets. 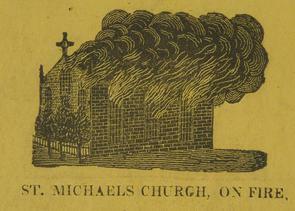 In North Philadelphia, St. Michael’s and St. Augustine’s (4th and Race streets) were burned to the ground. After three days, with scores of people wounded and the neighborhood in flames, the state militia finally arrived to restore order. 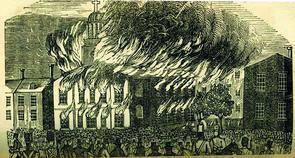 But just weeks later in July, another three days of public violence erupted in Southwark when nativists staged an anti-immigrant parade in the Irish neighborhood around the Church of St. Philip Neri at 2nd and Queen streets. 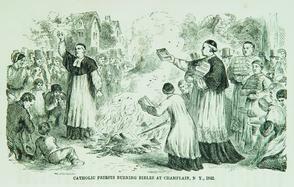 St. Philip narrowly escaped being set on fire when the state militia again intervened to end the rioting. 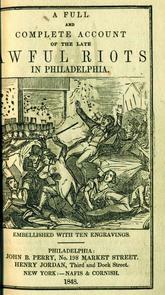 The bloody summer of 1844 resulted in at least 20 dead and more than 100 injured, and had several long-lasting effects on Philadelphia. 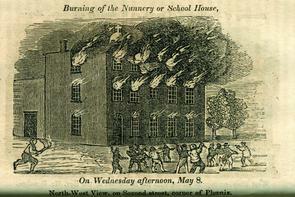 Following the riots, Archdiocesan Bishop Francis Patrick Kenrick abandoned his efforts to influence the public schools and instead laid the groundwork for the Catholic school system. 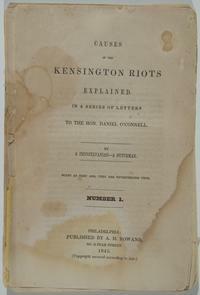 The violence and chaos of the riots highlighted the need for a unified police force and a paid fire department, and intensified the political pressure to consolidate the outlying industrial districts of Philadelphia County. A decade later in 1854, the city of Philadelphia officially incorporated Northern Liberties, Kensington, Southwark, and other contiguous districts into its boundaries. 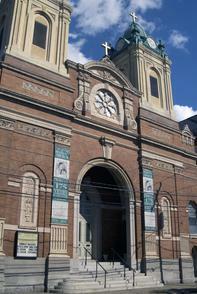 Founded by Irish immigrants seeking freedom of worship, St. Michael’s was rebuilt after the riots and has continued to serve immigrants and new arrivals to the parish, now offering a Spanish-language mass every Sunday. 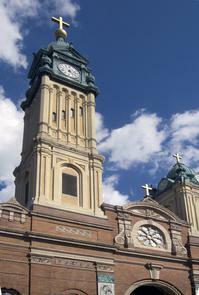 St. Michael’s is a multiethnic congregation that includes Irish American, German American, and Latino parishioners. 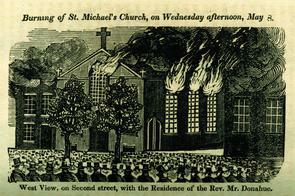 In 2006, as part of its 175th anniversary-year programming, St. Michael’s held lectures and memorial masses commemorating the riots of 1844 and the history of the neighborhood, reminding parishioners of the common struggles of all newcomers and the church’s role in creating community. Feldberg, Michael. 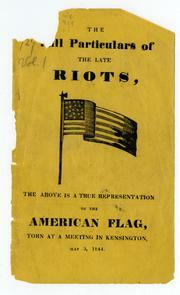 The Philadelphia Riots of 1844: A Study of Ethnic Conflict. Westport, CT: Greenwood Press, 1975. 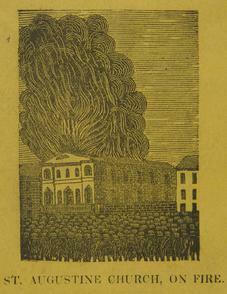 Montgomery, David “The Shuttle and the Cross: Weavers and Artisans in the Kensington Riots of 1844.” Journal of Social History, vol. 5, no. 4 (Summer 1972):411-46. Warner, Sam Bass. 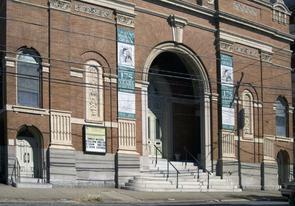 The Private City: Philadelphia in Three Periods of Its Growth. Philadelphia, PA: University of Pennsylvania Press, 1968.